Congratulations! 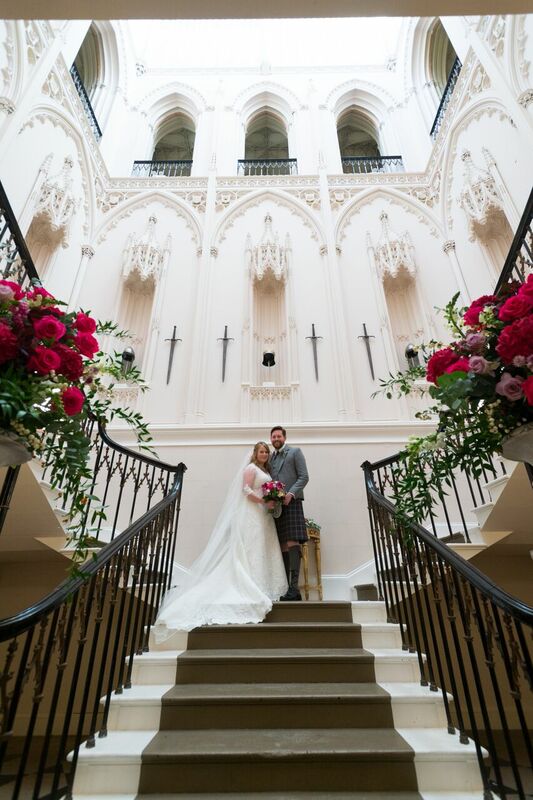 Deciding to get married in Scotland is an exciting experience and there are so many amazing Scottish wedding venues, including very special hidden gems, which we would love to recommend to you. We plan unique and stylish weddings in Scotland including elopements, small intimate weddings and luxury weddings with numbers of around 200. It doesn't matter where you are based in the world or what your wedding budget is our expertise lies in helping you to effortlessly get the style of wedding you want. Whether you want to have a luxury wedding in a Scottish castle or an intimate elopement just for two we can help you to organise all your wedding plans and to source the very best suppliers to suit your plans. Planning a wedding is a joyful experience but it is also very time consuming requiring extensive research and detailed planning which can soon become stressful and confusing. Our aim is to do all the hard work for you giving you the benefit of our professional expertise and knowledge which will help you to stay calm and to make informed decisions. We will coordinate all your suppliers, accessories, decor and ideas, advise you on your budget, negotiate the best prices we possibly can and be your one point of contact which will save you a lot of time and help you keep on top of things. We will guide you calmly and expertly through all the details to ensure you can relax and enjoy your wedding planning leaving all the nitty gritty to us. We'll also be there supporting you on your wedding day ensuring we pay the utmost attention to all the crucial details which means you can relax knowing your big day is very safe in our capable hands. We are discreet, hard working and our team won't miss a trick. If your table linen has a crease, or a candle is lopsided or a guest is looking a little lost you can rest assured our team will be on hand to take care of everything. "Our job is to make your ideas and your budget work to create a unique, stylish and meaningful wedding for you"
We are privileged to have planned lots of beautiful exclusive Scottish weddings for couples from around the world. With over 20 years of event management experience, together with our professional wedding planning qualifications and awards, you can trust us to create your dream wedding day. Please get in touch to see how we can help you to plan your perfect wedding.